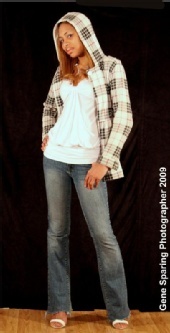 Im 5'8 and I love to be in the spot light, love the runway and the fashion world. I reall want to get into catalog modleing. I went to school for cosmotogly and did some hair shows while in school.